Two well located new student residences have been opened by Pure Student Living. 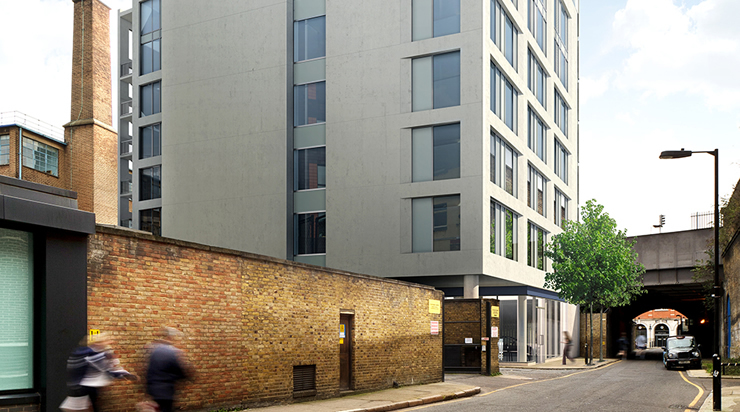 The schemes in Bankside near Tate Modern and Hammersmith add a further 568 beds to the operational platform taking total operational beds to just over 1000 whilst a further 805 beds will be delivered for City University this time next year. Pure Bankside is very well located for Kings College Students and LSE while Pure Hammersmith provides high quality studio accommodation in west London which is perfect for students studying at Imperial College. Located on the site of the former Hammersmith Palais venue, the entrance hall pays homage to the building’s musical heritage with images of famous former performers.